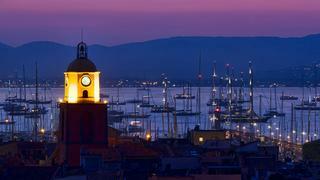 Saint Tropez, Cannes and Monaco deliver on the traditional glamour and party vibe associated with the area. Don’t expect it to be cheap but expect it to be good fun. You can have a wild crazy time and go clubbing until your heart is content. The onshore agencies have relationships with all of the top clubs. However, if you want a table you are likely to find yourself with a minimum €5,000 spend and for that you are only going to get a couple of bottles of champagne. The Grand Prix in Monaco and the Cannes Film Festival are both fantastic events in the French Riviera. They are all about the party, the action and using the boat as the base. Both of the events mean a little bit of sleeping and lots of entertaining. However, if you want to be in the best locations you need to plan in advanced and be prepared to pay a premium. Don't miss Boat International's guide to the best charter yachts still available for the Cannes Film Festival and Monaco Grand Prix. 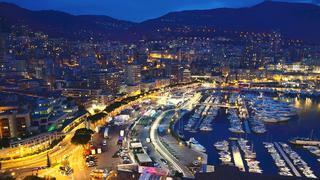 The Grand Prix in Monaco and the Cannes Film Festival are both fantastic events in the French Riviera. They are all about the party, the action and using the boat as the base. Both of the events mean a little bit of sleeping and lots of entertaining. However, if you want to be in the best locations you need to plan in advanced and be prepared to pay a premium. Don't miss Boat International's guide to the best charter yachts still available for the Cannes Film Festival and Monaco Grand Prix. 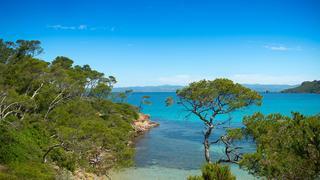 If you are looking to escape the crowds of the Côte d'Azur then I think the Porquerolles is a lovely area. As well as being quieter it also has some of the best diving in the Med. Due to its proximity to the Gulf de Lyon the water gets cleaned through so there is very good sea life there. There is also much less chance of jellyfish which seem to plague the main coastline. 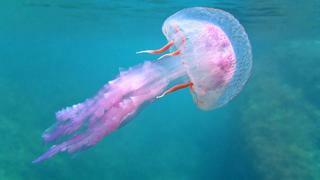 Unfortunately in the last few years the French Riviera coast has been very badly affected by jellyfish. They are putting up barriers in the summer to create safe areas for swimming and people are desperately trying to find a solution to kill them. People are also increasingly taking measures to protect guests by having an inflatable swimming pools. I think it will become more and more necessary to have something to protect you if you want to go swimming. Unfortunately in the last few years the French Riviera coast has been very badly affected by jellyfish. They are putting up barriers in the summer to create safe areas for swimming and people are desperately trying to find a solution to kill them. People are also increasingly taking measures to protect guests by having an inflatable swimming pools. I think it will become more and more necessary to have something to protect you if you want to go swimming. After August 30 there is a great exodus from the French Riviera and as a result September is a lovely month. The water is a lot warmer because it has had the whole summer to heat up and there are a lot less people. Staff in the restaurants and bars are happier to see you because they can see the light in the tunnel for the end of the season and the friendliness definitely increases. After August 30 there is a great exodus from the French Riviera and as a result September is a lovely month. The water is a lot warmer because it has had the whole summer to heat up and there are a lot less people. Staff in the restaurants and bars are happier to see you because they can see the light in the tunnel for the end of the season and the friendliness definitely increases. In the French Riviera I find that the restaurants don’t live up to the prices they charge. A lot of it is because in the summer they deal with transient people so they are not that concerned about having repeat custom. My advice would be to stay on board and eat. 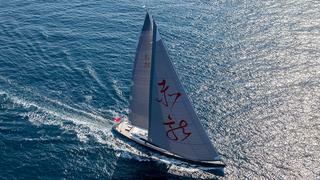 The chef should be of a very high calibre, and if he is not then you are on the wrong yacht! I know sometimes charterers feel that they should give the crew a night off but you are much better just having a relaxed meal or on-board BBQ. It is so often hugely disappointing when you go on shore I don’t think it is worth the risk. If you are paying to have a wonderful chef then why not use them? In the French Riviera I find that the restaurants don’t live up to the prices they charge. A lot of it is because in the summer they deal with transient people so they are not that concerned about having repeat custom. My advice would be to stay on board and eat. 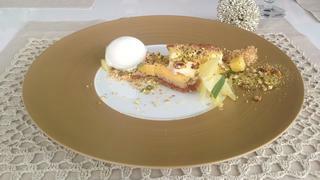 The chef should be of a very high calibre, and if he is not then you are on the wrong yacht! I know sometimes charterers feel that they should give the crew a night off but you are much better just having a relaxed meal or on-board BBQ. It is so often hugely disappointing when you go on shore I don’t think it is worth the risk. If you are paying to have a wonderful chef then why not use them? The areas behind the French Riviera coast are really lovely. 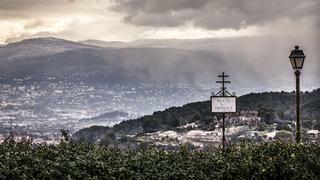 For example behind Cannes you have Mougins, behind Antibes you have Biot and there are also the lovely towns of La Turbie and Eze. All of these places are beautiful and also have great rustic restaurants. There are experienced agents along the coast, such as BWA, that can easily arrange for guests to get a minibus and head up and visit some of these charming places. The areas behind the French Riviera coast are really lovely. 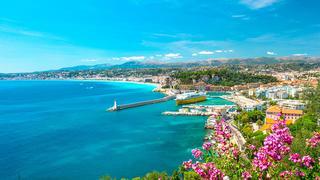 For example behind Cannes you have Mougins, behind Antibes you have Biot and there are also the lovely towns of La Turbie and Eze. All of these places are beautiful and also have great rustic restaurants. There are experienced agents along the coast, such as BWA, that can easily arrange for guests to get a minibus and head up and visit some of these charming places. I think charterers often get more out of a trip if they don’t have a rigid Cote d'Azur itinerary. Sometimes people can become too stuck on the idea of having an exact plan. Actually you are much better to have a start point and end point and let the weather dictate the rest. Some anchorages, particularly if they are open, can be lovely in certain conditions but can be unpleasant in others. It is better for everyone if you pay attention to the weather. It is no fun for the crew trying to get people in and out of tenders when everything is bouncing around. The crew want to give the guest the best holiday and their enjoyment is the most important thing. I think charterers often get more out of a trip if they don’t have a rigid Cote d'Azur itinerary. Sometimes people can become too stuck on the idea of having an exact plan. Actually you are much better to have a start point and end point and let the weather dictate the rest. Some anchorages, particularly if they are open, can be lovely in certain conditions but can be unpleasant in others. It is better for everyone if you pay attention to the weather. It is no fun for the crew trying to get people in and out of tenders when everything is bouncing around. The crew want to give the guest the best holiday and their enjoyment is the most important thing.